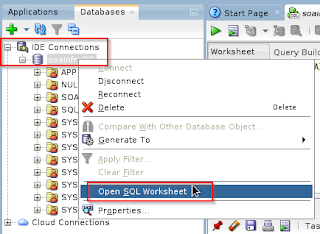 exception.name: Error while Querying workflow task metadata. 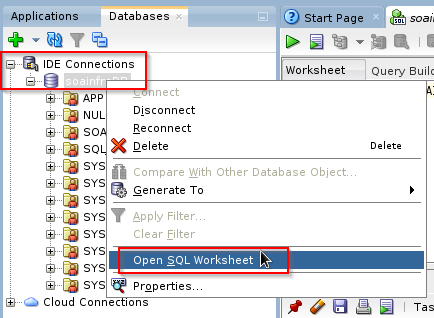 exception.description: Error while Querying workflow task metadata. exception.fix: Check the underlying exception and the database connection information. If the error persists, contact Oracle Support Services. 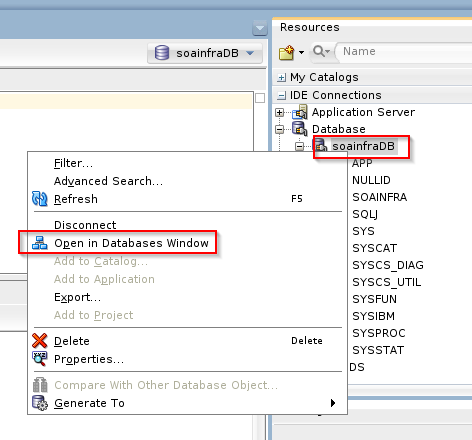 Caused By: java.sql.SQLSyntaxErrorException: Column 'WFTM.PACKAGENAME' is either not in any table in the FROM list or appears within a join specification and is outside the scope of the join specification or appears in a HAVING clause and is not in the GROUP BY list. 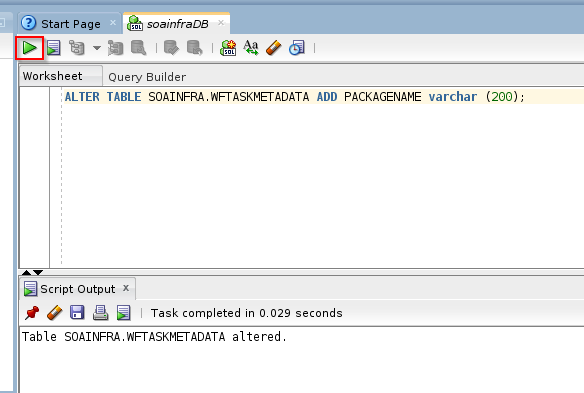 If this is a CREATE or ALTER TABLE  statement then 'WFTM.PACKAGENAME' is not a column in the target table. Apparently in the repository of 12.2.1.3 a column is missing in the Workflow Metadata table. The smart guy that provided the answer, used a separate Database UI tool. 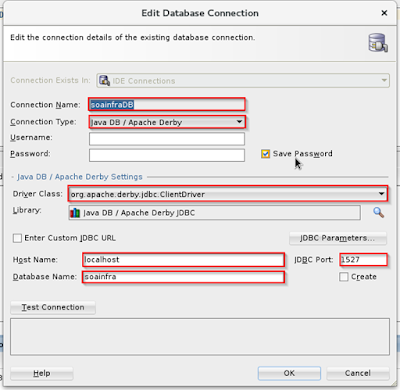 But fortunately, JDeveloper is perfectly capable to provide you de means as well. First open the Resource Pallette in JDeveloper. 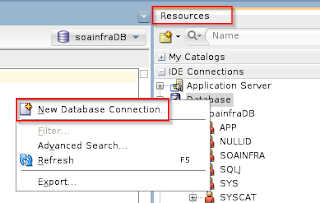 Make sure that you have started your Integrated WebLogic already (since that will run the DerbyDB. Give it a name, like soainfraDB, as a Connection Type select 'Java DB / Apache Derby'. You can leave Username and Password empty. 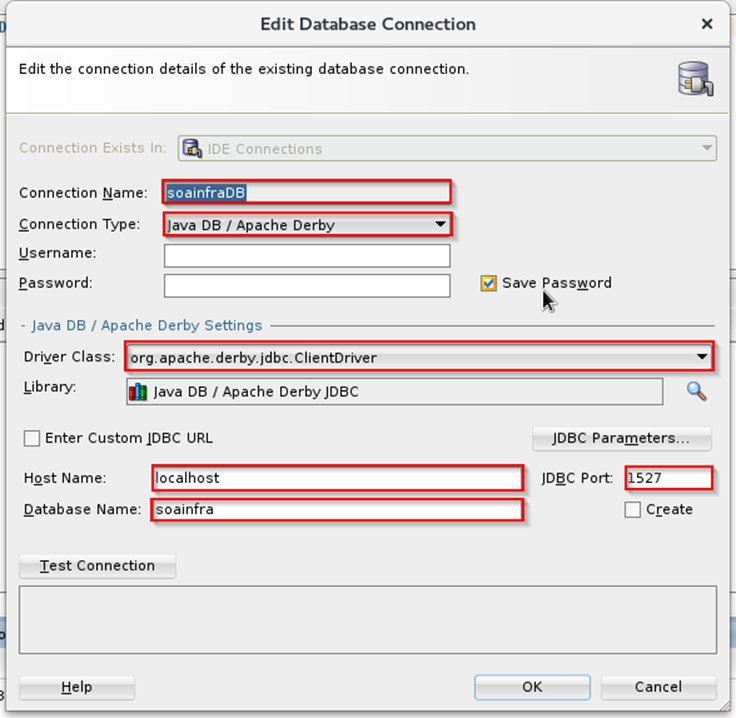 Then as a Driver Class, choose the 'org.apache.derby.jdbc.ClientDriver' (not the default). 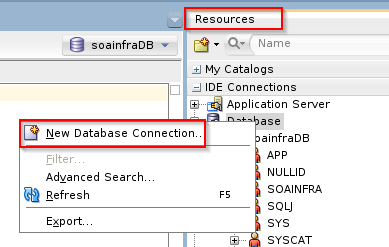 Then as a Host Name provide localhost, as a JDBC Port enter 1527 en as a Database Name enter soainfra. You can Test Connection and then, if Successfull, hit OK.
After this, deployment should succeed. Since it is persisted in the DerbyDB it will survive restarts. This might apply to the SOA QuickStart as well (did not try).